Fashion tastes change year after year, including clothes, footwears and of course accessories. 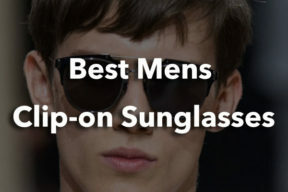 In my previous article, I have told you about men’s trendy sunglasses in 2017 and also reminded the retro. For those who don’t know, retro style is consciously imitative of modes, fashions or trends of the past. Maybe a musician, an actor or an iconic movie character that has huge influence on your personal style. More importantly, what they wore really impress you and it encourages you to look for those items. 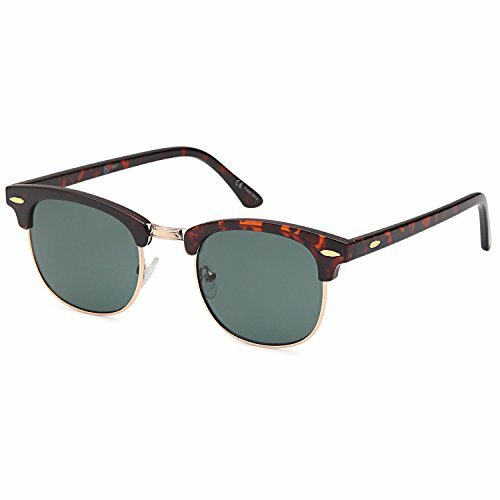 In this article, I will share you my retro sunglasses for men collection that I love the most. And don’t forget to tell me which is your favorite, too. Now, let’s get started! When it comes to this Retro Optix sunglasses, I’m in love with their color collection. There are totally 37 colors to fit various demands and particular favorites. Almost of these lens colors are hot, which makes you think about summer. And I think Retro Optix sunglasses are perfect for parties or skits. But the point in here is that they can change color when light hits their lens. Amazing, right? And for those who are looking for budget friendly retro sunglasses, no more hesitate to pick a pair of Optix. They are the cheapest in this collection. However, their quality is still good with UV400 Protection to save your eyes against harmful UV and UVA rays from the sun. And I’m really impressed by their polarization. I wore them on, went out, the sun directly faced me but I still saw the road. Holly crap! Besides, as they are 100% made of plastic. Their weight is super light and might you not feel you are wearing them at all. No discomfort, no heaviness, that’s a big plus. Another bright lens color collection, which is ideal for this summer. Even though the Retro Rewind’s collection has less colors than the Optix’s, it’s fine because they have the most basic colors. 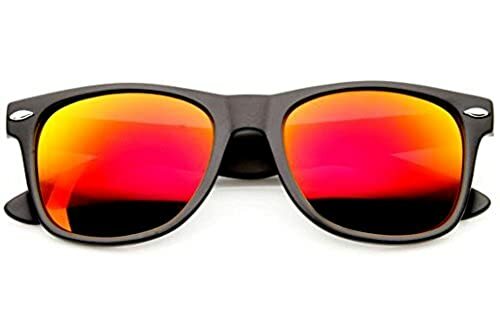 In general, I think this Retro Rewind has many similarities as the Optix, such as polarization ability, materials, lightweight, 100% UV Protection and anti-glare feature. However, look at their dimension, you can see that Retro Rewind sunglasses is much larger than standard. Moreover, the manufacturer also includes a microfiber pouch. For those who don’t know about this eyewear brand. 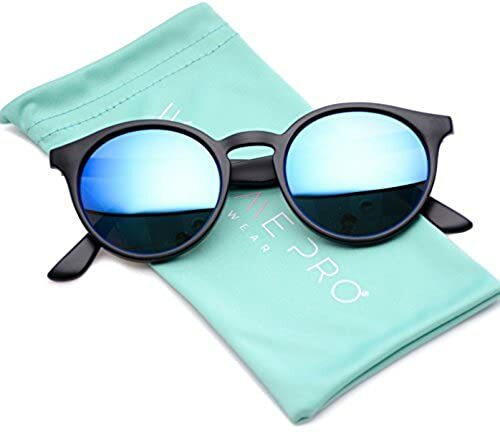 Wearme Pro was set up in 2011 and up to now, they have grown strongly with the slogan of providing highest quality sunglasses with cheapest price. Moreover, they allow you to return or exchange detective products free. How good warranty they have! Back to this Wearme Pro retro sunglasses, contrast with those retro sunglasses above it has cold lens color collection including 15 shades at all. Again, this retro is 100% UV and UVA ray protection. 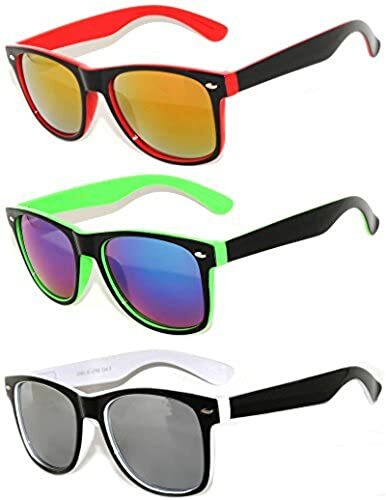 Wearme Pro retro sunglasses are non-polarized and they are rather durable. And in my point of view, I like their unisex design. 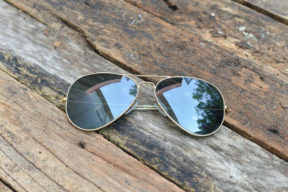 A pair of retro sunglasses that you must have one in your closet as they won’t be out of fashion. For those who are finding a pair of 70’s, 80’s, 90’s retro sunglasses for parties, for gifts, holidays, outdoor activities, school or just wearing every day, this retro vintage eyewear of Owl will be a perfect choice. In another word, it’s versatile. Plus, their uncountable lens color collection will surely satisfy you. The ability to protect your eye from harmful rays of the sun is 99%, a little bit less than those sunglasses above. And they are non-polarized. Besides, the design is really and they are quite sturdy, strong and durable. Get one and you’ll feel no worries about breaking it down or scratches. 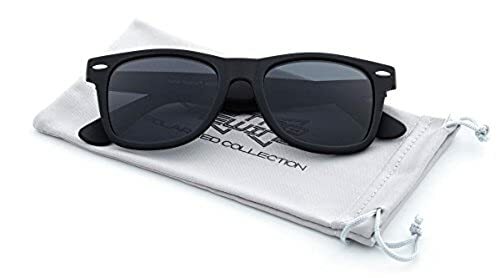 As I told you in the title of this article, this Joopin Semi Retro Sunglasses make me obsessed because of their amazing design. They are exactly my style, remaining original retro classic but still evolving today’s fashion trend. I’m really satisfied with their quality and warranty. Block 100% harmful rays when you are under strong light, anti-scratch, durable, lightweight. 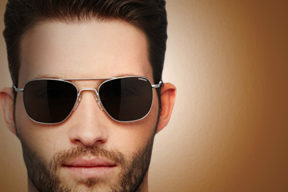 Besides, Joopin offers warranty on their frame and lens as well as 30-day money back for detective products. The feature that impresses me the most is their 9 polarized layers. From my experience, they are suitable for people who usually drive for long distance or participate in outdoor activities. Come to this Vivian retro sunglasses, they have 5 colors in total, most of them are neutral, which is cool. I must say that this design is a wow combination between vintage and hippie. If you love to be looked masculine and steampunk, pick this one! And I think it is perfect for beach and especially summer. Different from above retro sunglasses, Vivian & Vincent has metal frame in addition to a soft fabric glasses bag with Vivian logo printed on it so that the sunglasses look more luxurious, expensive and sturdy, which is a remarkable thing. About the quality, it has UV 400 protection to block all harmful UV, UVA, UVB rays. Those classic men should consider this CGID E72 because of its wonderful classy, steampunk and fashionable look. CGID E72 comes with 12 lens colors from neutral, cold to hot shades. 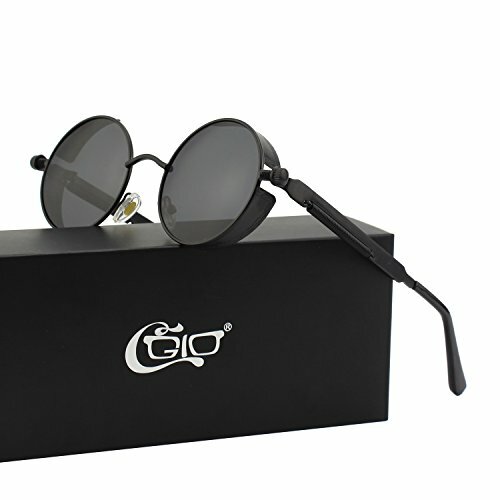 This CGID has some similarities as the Vivian and Vincent above like frame material, UV400 protection, design. But the big difference is that CGID E72 has polarization feature to help you see objects more clearly in day time, eliminate glare from the sun, vehicles’ lights, snow, bodies of water, etc. Plus, the 30-day money back guarantee makes customers feel more trustful on their products. 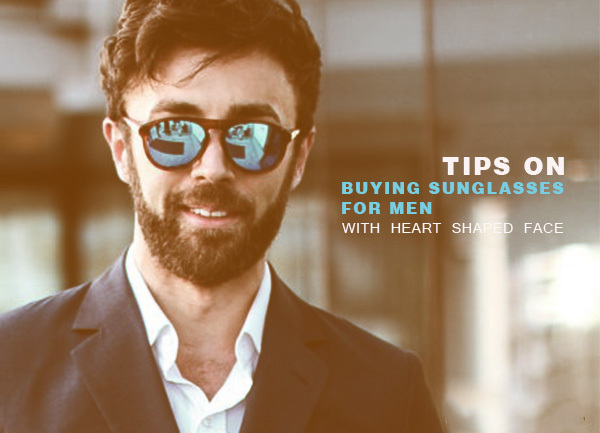 And if you are not satisfied with the sunglasses, you can return them and get a refund. Very good customer service, right? This Basik eyewear might be the sunglass brand that has less color options in my collection. Only one color, dark black. They just have different frame materials. 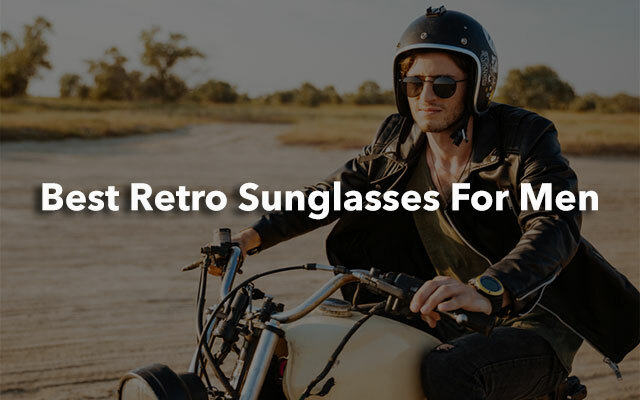 Like most of retro sunglasses in this top 9 retros, Basik Eyewear has plastic frame and lens, which makes it lightweight and comfortable to wear on. I recommend Basik eyewear for those who are getting migraines. I bought one for my friend who was suffering migraines for a very long time and he gave many compliments for it. Besides, their customer service is really nice that you’ll find no worries about the quality. 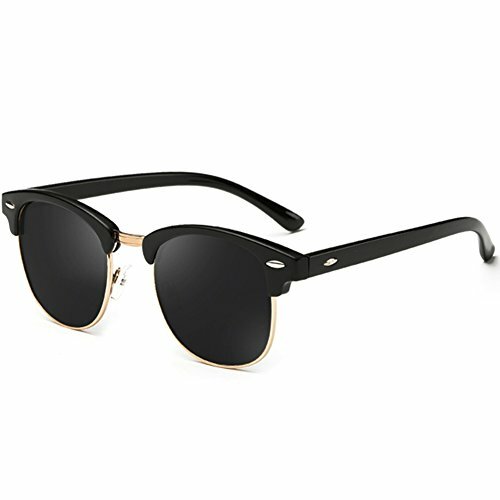 Finally, the feature of this product I appreciate the most is its durability and high quality craftmanship, which creates an iconic sunglass style. Last but not least in this 9-retro sunglass collection, the AV with 9 lens colors to fit various demands. It is quite the same as the Basik eyewear, but a little bit cheaper. Lightweight and comfort: no matter how many hours you wear the sunglasses, they won’t cause any discomfort or pain around your nose. 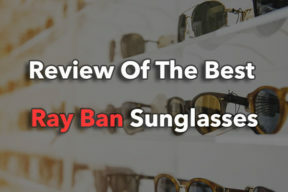 When it comes to compare the customer service of both Basik eyewear and AV, I myself think the AV is better because apart from 30-day money back guarantee for detective products, they also offer 2-year warrantee to prove their high-quality eyewear. Thus, if you choose this one, worries free. I have just shared you my 9 retro sunglasses collection in which they are all my favorites. And I have tried to give you my positive review about each one with full pros and cons. I hope that with my help, you will have at least a good source to consult and choose the best one for your own.